Nominees must have an ownership stake in the farm may be an individual, couple or managing partner/shareholder of a farm group. Nominees may be two partners in a farming operation (i.e. brothers) who meet all the criteria requirements and must be a permanent resident of Canada. Nominee must be responsible for the majority of management decisions in operating the farm. The nominee must derive a minimum of two-thirds of gross personal revenue from farming and not have reached the age of 40 as of January 1 in the year of competition. Over 50% of the farm’s income, averaged over the past 3 years, must be derived from the farm’s primary production. We received the application and requirements via email. 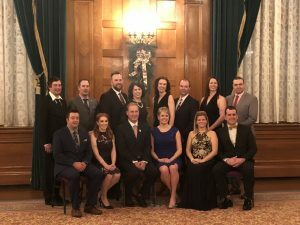 It was quite in depth, with topics ranging from: progress in Agriculture career, environmental stewardship, production history, farm management and financial practices, and our contribution to our community, province and nation. It took us many months of complete the application and wrote over 15 pages with the contributions of all the family members. Our bookkeeper was also instrumental in helping us gather all the required financial documents, records and numbers. Then, we created a slideshow presentation that contained 30 slides with only pictures to detail our story. All the while we are undergoing this process, we didn’t realize what we got ourselves into. We didn’t realize how super cool OYF community was. We were just completing our end of the bargain and going through the motions. 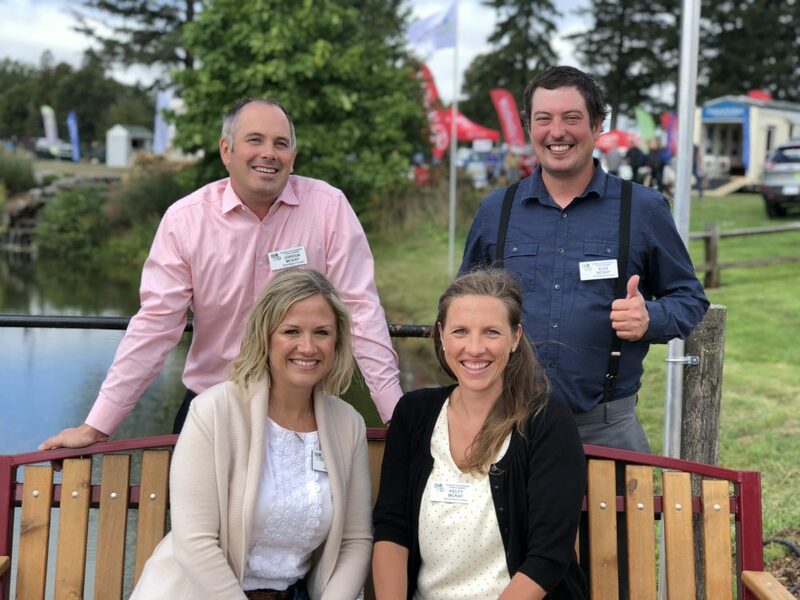 Now, Ontario’s Outstanding Young Farmers award weekend is upon us – it’s September and the farm is still in full swing and the McKay family is wondering why we signed up for this when there is so much work to be done at home. We should be home and working. But we made this commitment, so let’s do this thing. We get to Ingersoll, Ontario and step into the first night of meet and greet and presentations. Wow! We were blown away. These farmers are awesome! And inspiring! There were 3 nominee groups – we met the judges and ran through our Powerpoint presentations. The other 2 nominees were doing really cool things within their farming practices. We realized quickly we were surrounded by leaders. Over the course of 3 days, Jordan and Alex had two presentations and three interviews with the judges. We met a lot of people and had a wonderful time. 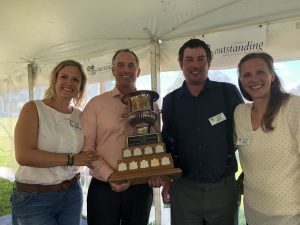 Then, the announcement that Willowtree Farm was the winner of the Ontario OYF award! What!? Tears streaming of happiness and a sense of fulfillment that all our dedication and hard work meant something. That others see what we are doing and see it as amazing as we do! Also, a sadness and happiness combined that the founders of the farm and our parents, Rod and Marlene, couldn’t be here to share this joy. But a happiness knowing how proud they are and feeling their presence with us. The group says ‘Congratulations! But now you need to work harder. You’ve got the National OYF competition coming up in two months’. Yikes! More applications, revisions to our Powerpoint presentation and now knowing how amazing the OYF family is – a greater sense of fear, excitement and stress. We arrive in Winnipeg. It’s -20. I think: “It’s cold. It’s ugly and wintery and what are we doing here?” We are greeted by Melvin, a really humble man that has a few farms in Manitoba. We find out later Melvin actually owns multiple farms making up over 40,000 acres (or more because who really keeps track after 40,000?). He’s a BIG time farmer who’s progressive and a leader in his industry. Over the course of 5 days in Winnipeg, we met so, so many inspirational leaders in their respective farming industries. We met grain crop farmers, potato farmers, bison farmers, pork farmers, dairy farmers and the list goes on. The farmers came from every inch of Canada – from the wild, wild west near Peace River to the rural hills of New Brunswick. People who strive to be the best at what they do. People that care about their communities and bettering the world. Farmers that farm with all their heart and soul, and do a darn good job at it. As part of the event, we went sightseeing and visited a Hutterite colony, a Human Rights museum and so much more. Jordan and Alex had to give two Powerpoint presentations (one in front of about 300 people) and 4 interview sessions with the judges, asking some really difficult questions. The nominees all had very progressive and successful farm operations. Their level of professionalism and expertise in their fields is unmatched. We were awestruck. Not only were these individuals so inspiring, they are unbelievably friendly and outgoing and open about their lives and businesses. And around the same ages as us! I didn’t think we would win. Then, came the announcement. 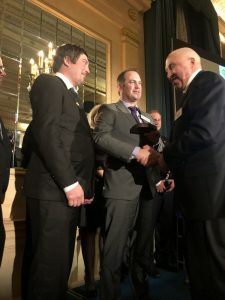 Willowtree Farm wins the National OYF award, along with Double F Farms. Jordan and Alex come up to the stage. Excitement, disbelief, happiness, sadness – all the emotions that come with a long journey that started with lots of hard work and ended with a new “Farmily”, and a delight in what the future holds. On our last night of our Winnipeg adventure – we are on the bus full of people laughing, singing, chatting and having a great time. The sun has set. The prairies are straight as an arrow, travelling on for many miles. The snow is glistening in the remaining blue hue of the sky with the moon settling in. I look out and think: “It’s so beautiful. I know why we came here. And I’m so excited to see all of Canada with this group”. 13 Comments on "Our ‘Outstanding Young Farmer’ Journey"
You are all truly amazing as is your “staff family”. I rave about your operation to all that I come across in many various businesses.The founders and local community are certainly proud and aware of your accomplishments. Your seasonal promotions are imaginative entertaining and extremely well managed. Aw Nancy! We love you too! Thanks for being part of our special team. We always love when you come to the farm (and we love snacking on all your amazing jellies and jams)! Thank for telling this story and congratulations to your family. Your humility in praising your competitors is also a compliment to all of you. I think you have established links with other great farm individuals and families. Anne and I will continue to watch Willowtree grow, evolve and thrive. The future of farming is blessed to have you four, working together to create a local farmily, but something more. 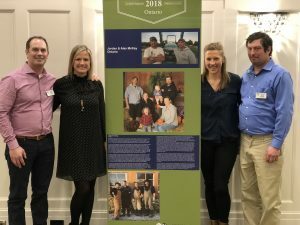 Your willingness and creativity in evolving local farming, to try new things, to bring the local community families to your farm, to connect hearts and soles with their food…ya, well deserved. You should be so proud of what you have accomplished. I’m sure Rod and Marlene are looked down with their hearts full of pride. Thanks Harvey and Jan! You are in our thoughts! Hope you stop in sometime in 2019! What a beautiful, touching description of your journey! Congratulations! 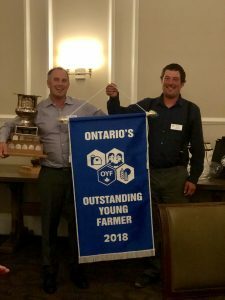 Congratulations Jordan and Alex and your respective spouses on this significant accomplishment and the hard work that you put in to enter, but also the running of your farm and market on a daily basis. Your Mom and Dad would have been very proud. I can also say that the community that surrounds you has watched Willowtree grow over the years, and wish you continued success. …… “Friends are family you make along the way” …. 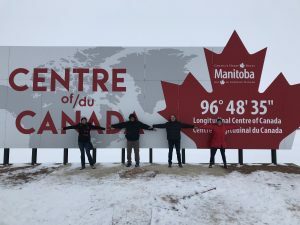 The Manitoba gang did an amazing job of hosting! We could tell how much hard work went into preparing for the event. It is obvious that everyone cares so much. Thank you for having us!